Have you claimed for mis-sold payment protection insurance? PPI was widely mis-sold with products such as loans, credit cards and mortgages. As such, thousands of UK consumers have already made successful PPI claims to their banks, some being refunded with thousands of pounds. To date, the banks have repaid nearly £30 billion to customers. With only a year-and-a-half still remaining to make a claim, the Financial Conduct Authority (FCA) is urging people to start as soon as possible. But what if you don’t feel prepared or clued-up enough to start making a claim? Don’t know if you’re eligible to to reclaim PPI, or if it’s even worth trying? If you’re not sure how to claim PPI or even if you bought PPI, read our frequently asked questions below. The FCA decided to impose a deadline on consumers making payment protection insurance claims, so that people would stop putting off making a claim and could put an end to the PPI saga. The deadline is set for 29th August 2019. You must make your claim before this date. 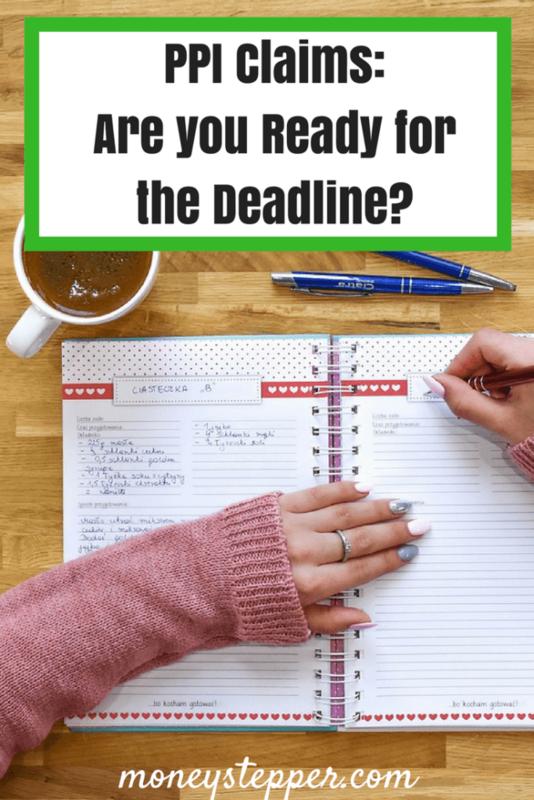 However, starting as soon as possible is vital — not only because the banks will be busy dealing with claims the nearer the deadline comes, but some people could actually face an earlier claims deadline, too. Some people were contacted by their bank a few years ago about mis-sold PPI. From the date of the letter, consumers only have three years to claim PPI. Some of these letters may have been sent to old addresses or people may not have read them. Whatever the situation, there are some members of the public who have an earlier deadline to adhere to. Start your claim as soon as possible to make sure that you don’t miss out. Many people were unaware that they even bought PPI. How? It was often added to credit cards and loans without people’s knowledge. In a recent case, an 87-year old woman had her signature forged by an employee at RBS. With some PPI dating back to 20 years ago, checking over any previous statements and accounts is 100% worthwhile. If you know who to contact and have all of the documents with evidence of mis-sold PPI, you can make a claim yourself. But, many people choose to use the services of a reputable claims company. To find an honest claims company, always check their fee for successful claims and never pay money upfront. You shouldn’t be paying any more than a 20% fee on successful claims. The benefit of a claims company is that they deal with all communication from the bank and can even uncover if you had PPI in the first place – an ideal solution if you no longer have the paperwork. If you don’t want the hassle of making a claim but would like to find out, a PPI claims company make it easy for you. A no win, no fee policy means you won’t pay a penny unless your claim is successful. How Long Does it Take to Claim PPI? Lloyds Banking Group reported that they are receiving an average of 11,000 claims a week. The banks must respond to you about your claim within eight weeks. However, claims frequently take longer. The bank should notify you if a resolution will take longer. For complex or old claims, the wait time could be longer. It’s common for a PPI claim to take three to six months to be resolved. If your claim is unsuccessful, you are able to refer your case to the Financial Ombudsman (FOS). But, a claim at the FOS can take up to two years as they work through a backlog of claims. Claim PPI now and save yourself the stress and hassle of doing it nearer the deadline. You really could be surprised how much you are due from the bank. Please, stop following stock tips and claims of ‘impressive’ returns! Britain’s Not Ready For Retirement!